This official Mickey Mouse Wanderer junior duvet cover and pillowcase set is a must for any little Disney fans! 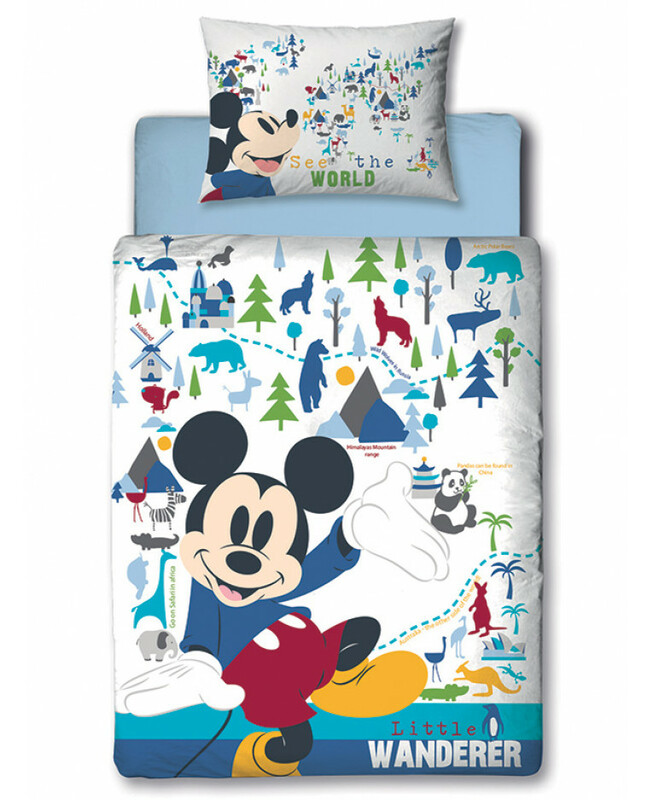 The fun design features Mickey on a white background that features colourful animals and landmarks from around the world such as the Sydney Opera House, pandas in China and safari animals in Africa. 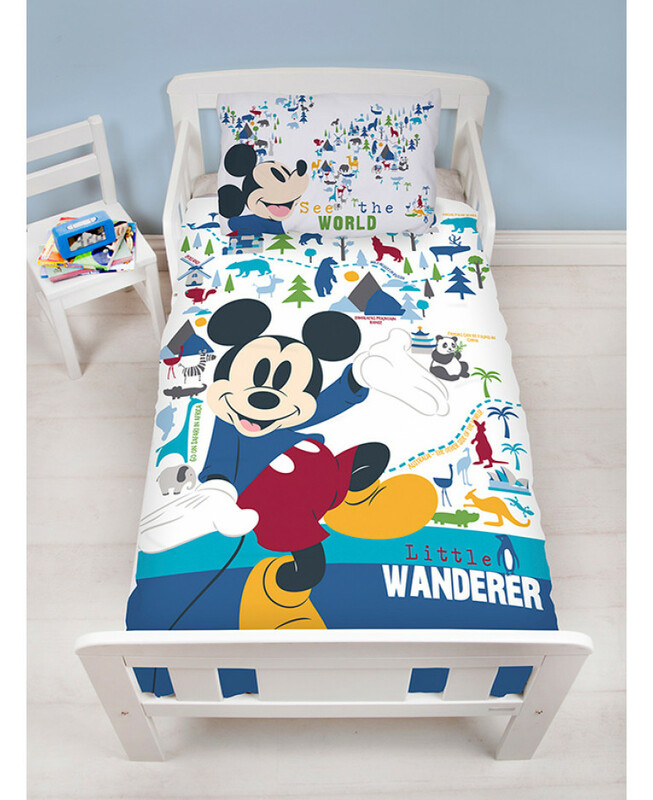 This bedding set fits most toddler and cot beds and can be machine washed and tumble dried on a cool setting.